I don't know if you follow this thing called the internet, but if you do you'll see that there's another rapper that's been getting more than his share of buzz these last couple of days. Our local Toronto hip hop connection, Drake, has been throwing music everywhere in a variety of styles in these last few days. Drake's been covering all his bases; going over an indie sample courtesy of SBTRKT, getting time in with Rick Ross and Weezy F, and finally doin his solo triphop thing on top of a BTSTU sample I've heard a couple of times before from SG regulars Intuition & G-Eazy. So why are we getting so much from the kid all at the same time? 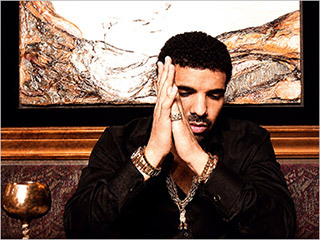 Drizzy's currently ramping up for his sophomore album Take Care, in which he seems to fall back to his old style that everyone fell for in the first place. The track Dreams Money Can Buy is apparently the intro to the album, so hopefully the single will bring back Drake, and Toronto, to the spotlight where they deserve to be. Drake always seems to make sense to me and doesn't waste a line, which is something rare in the rhyming game these days. Appreciate this.